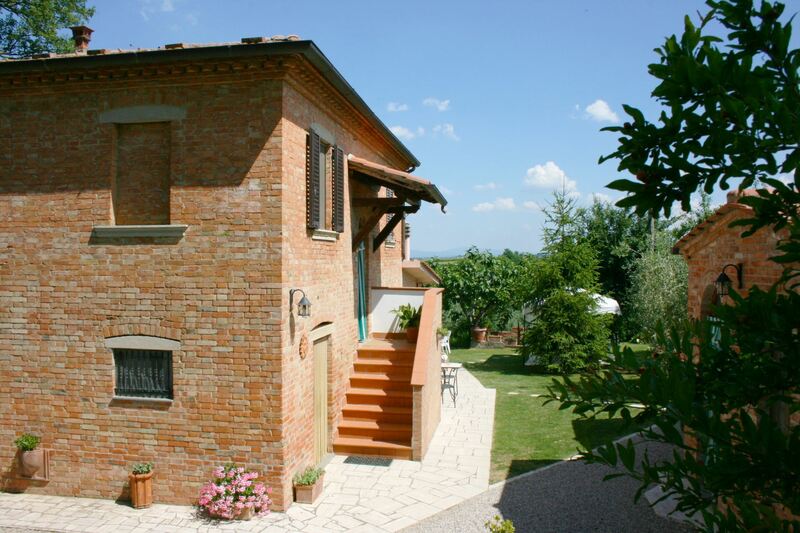 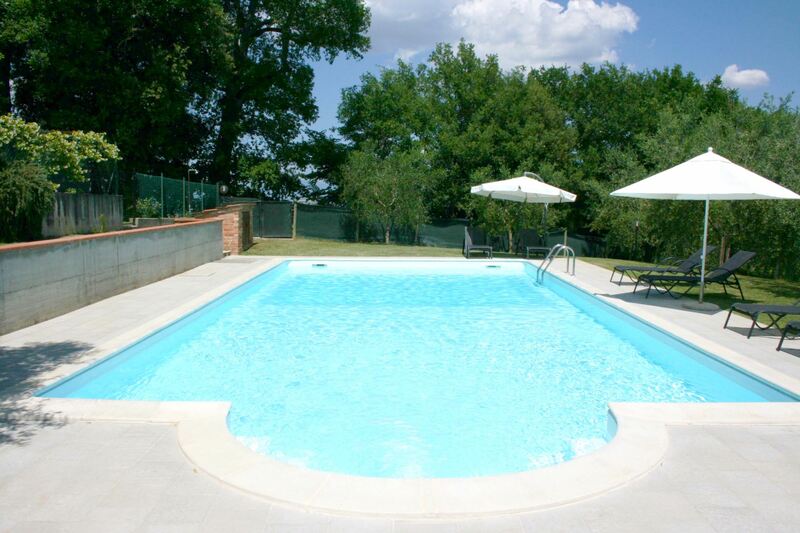 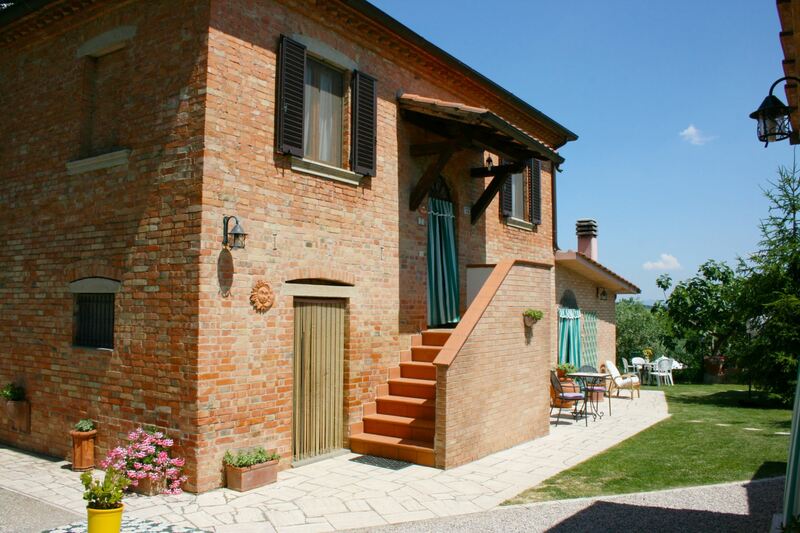 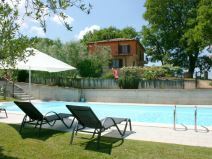 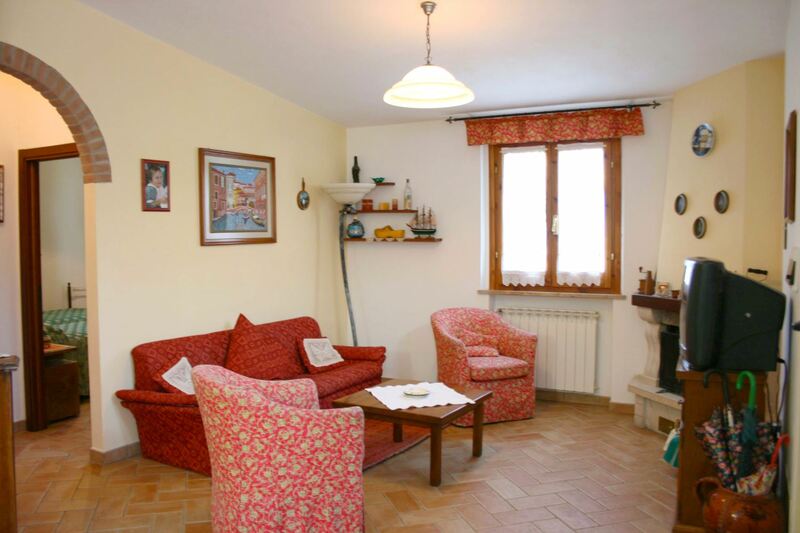 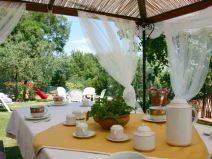 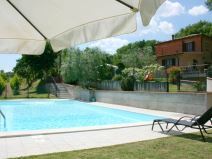 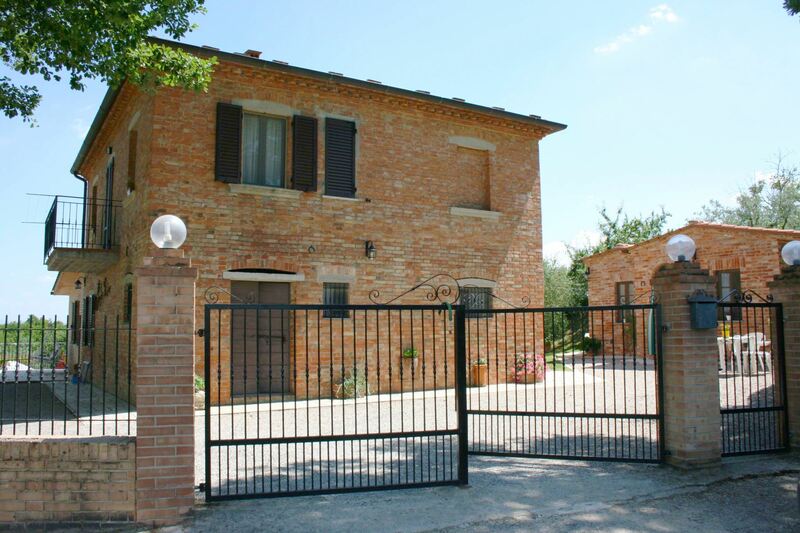 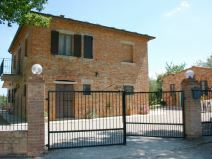 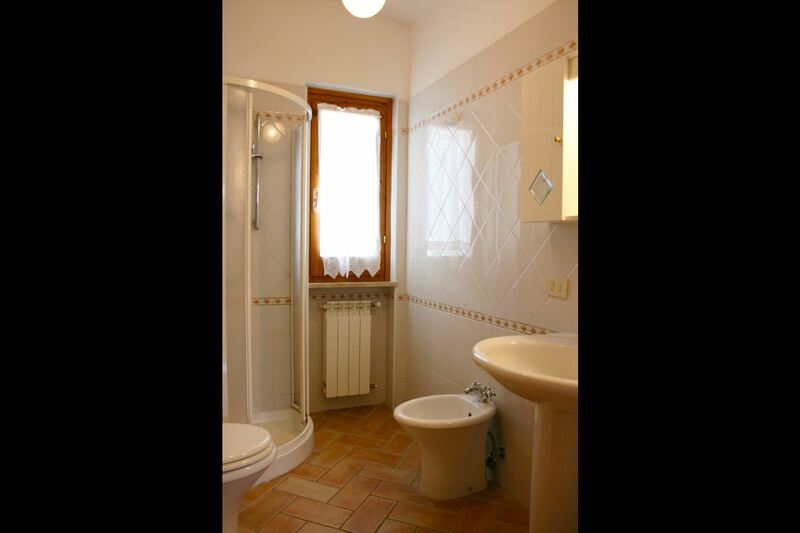 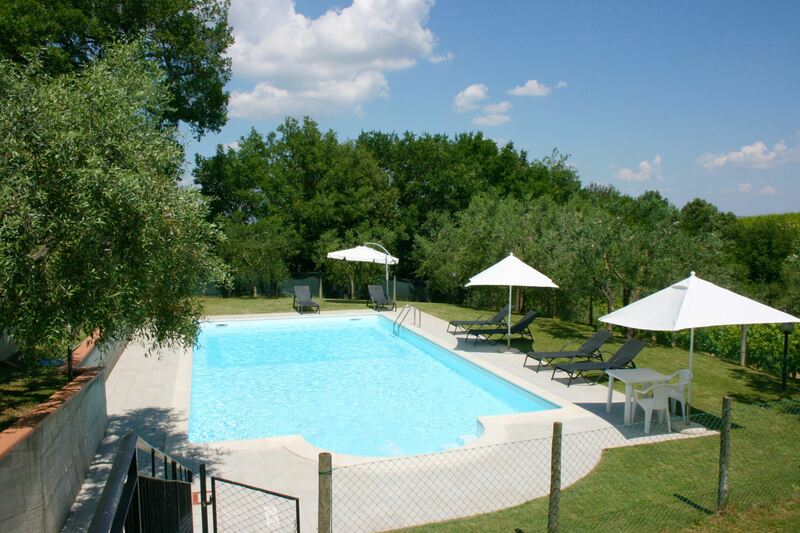 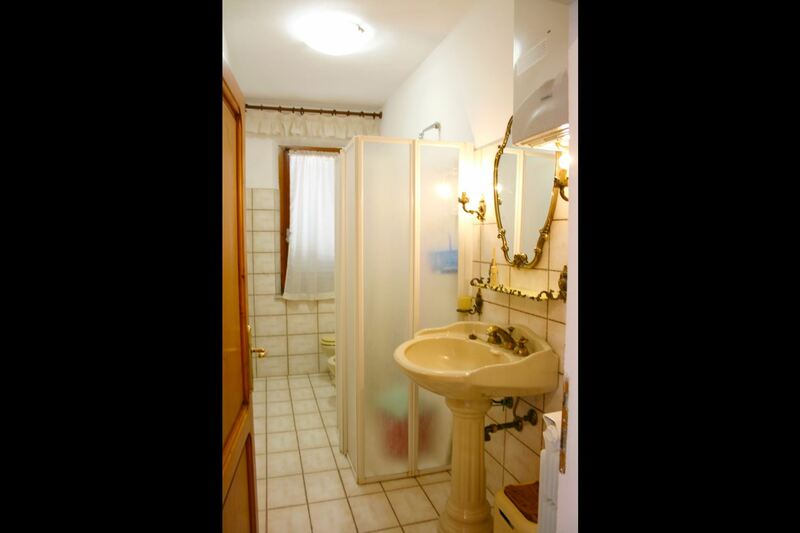 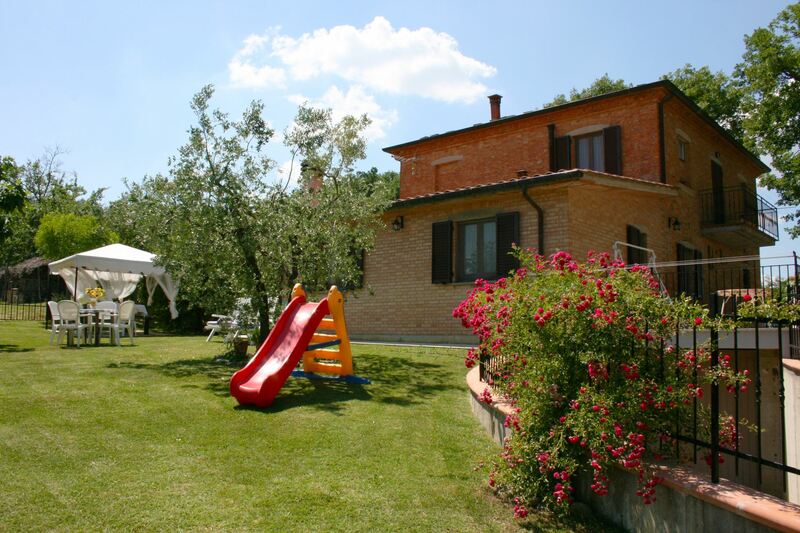 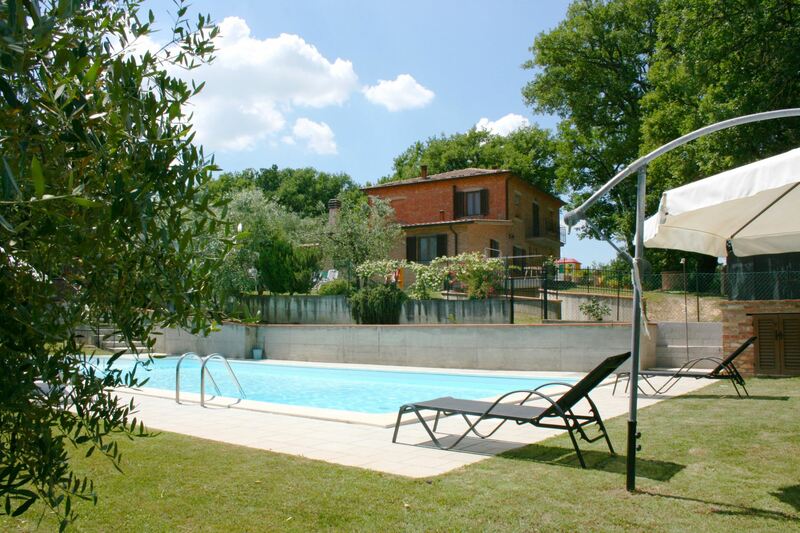 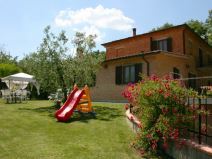 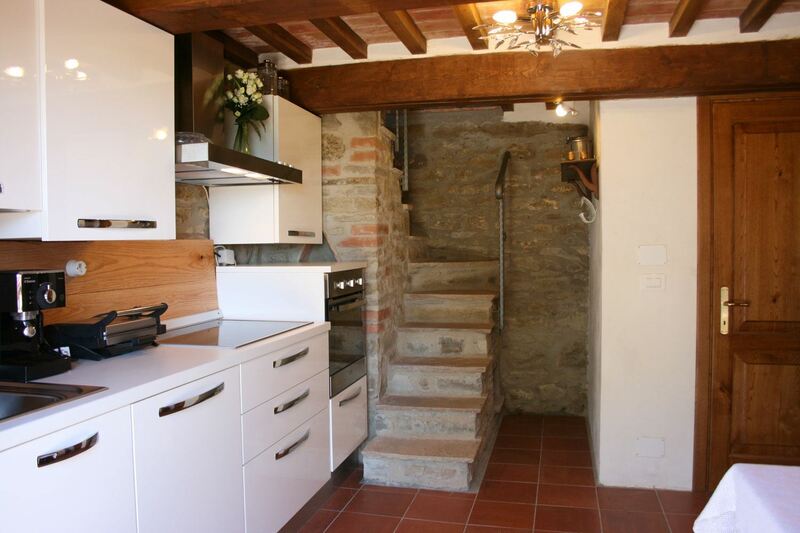 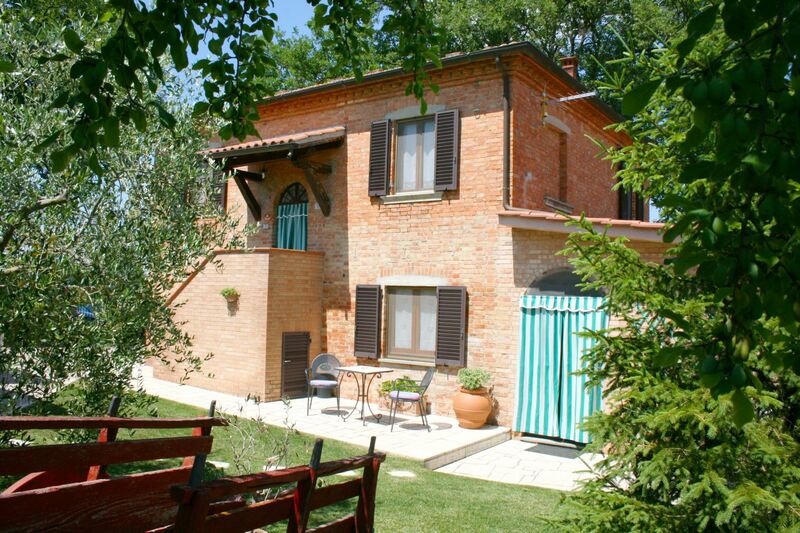 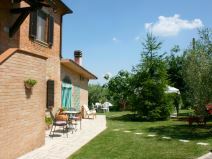 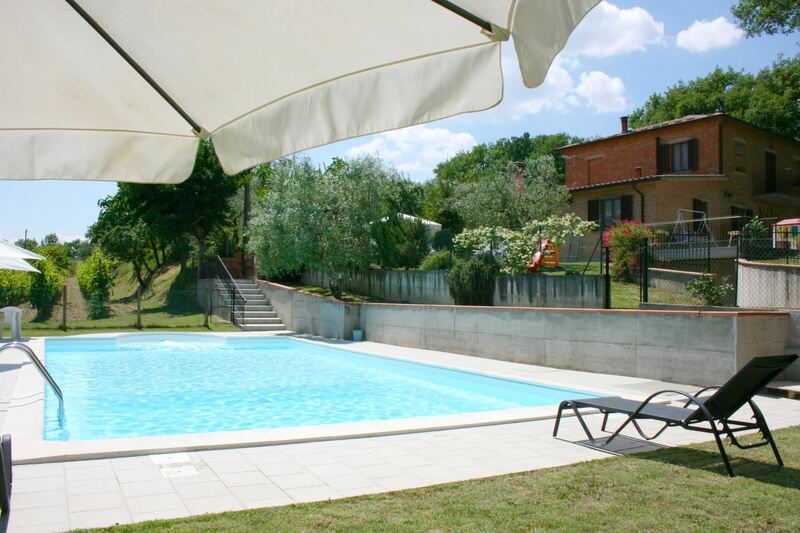 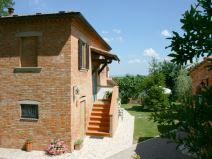 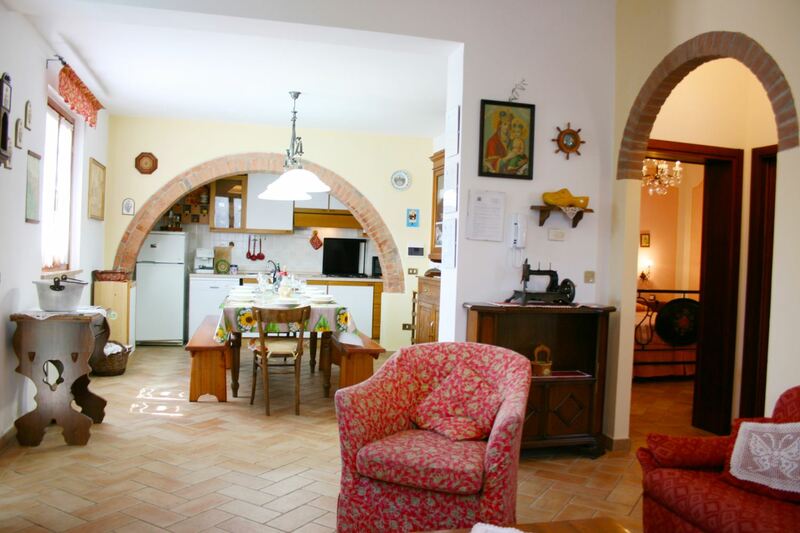 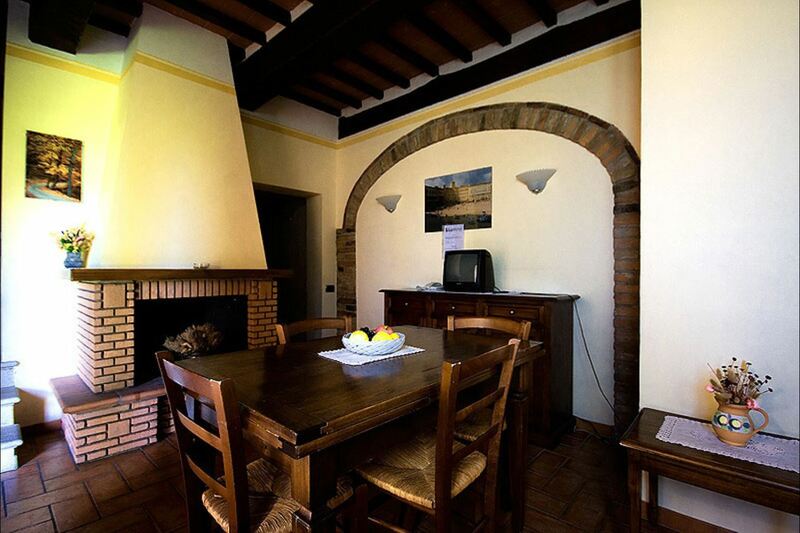 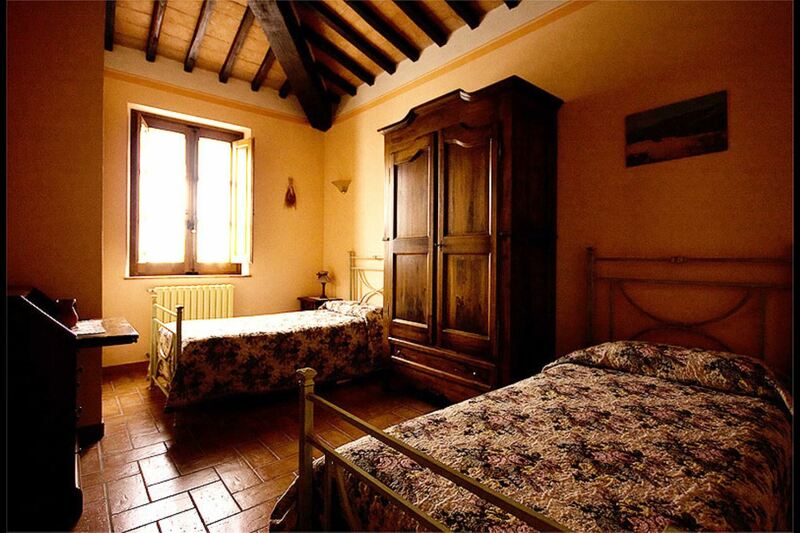 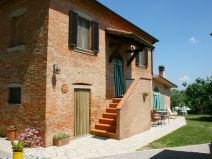 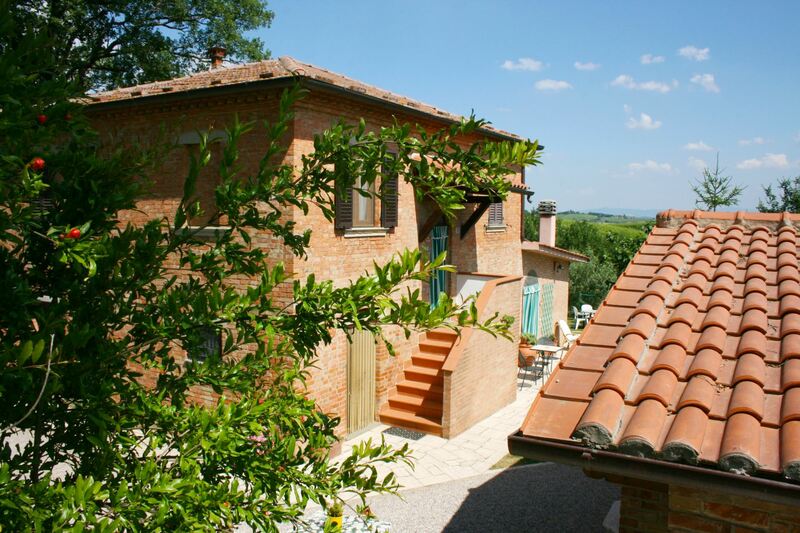 Old brick farmhouse with private pool for 9 people, in a panoramic position close to the village of Montepulciano. 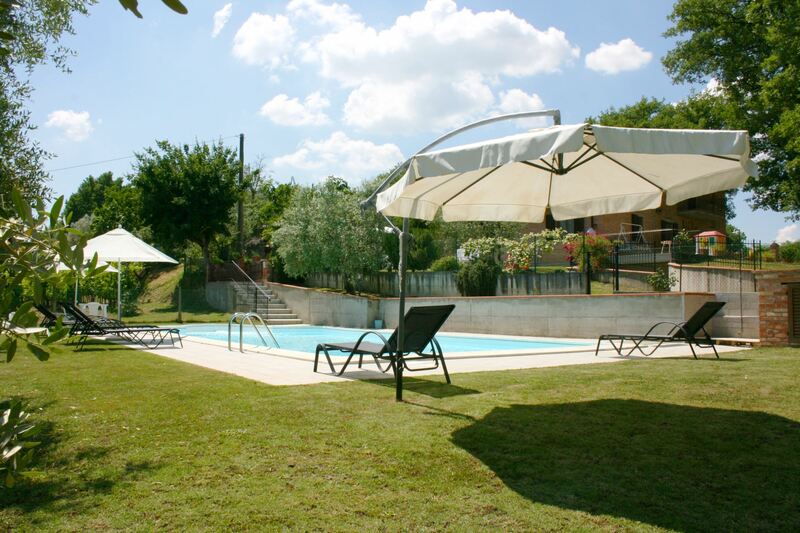 Large outdoor area, fenced pool. 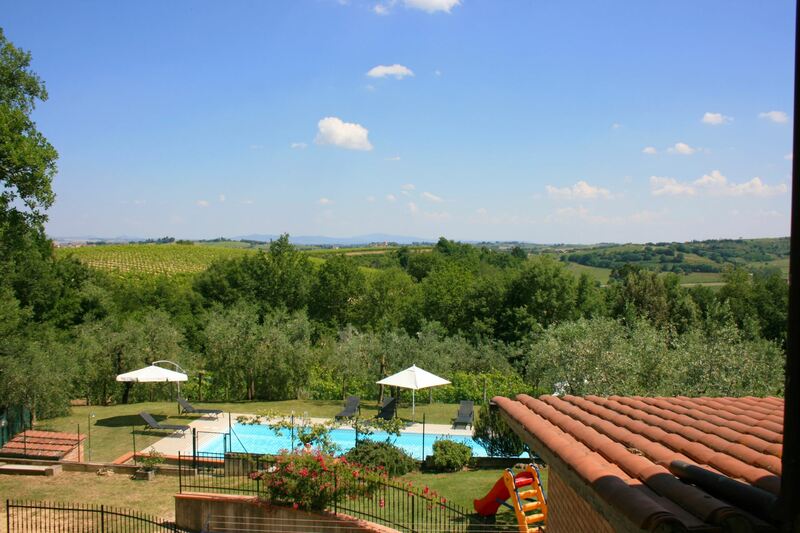 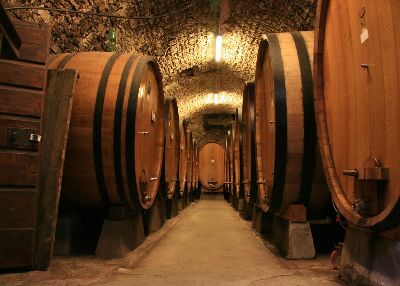 Torrita di Siena and Montepulciano two destinations of great interest. 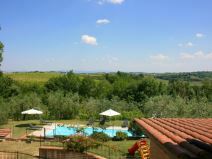 Beautiful farmhouse placed in a panoramic position on the green hills covered by vineyards, olive groves and woods, only a few kilometres from Torrita di Siena and Montepulciano. 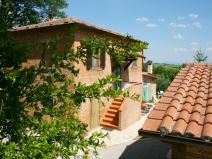 The two Tuscan towns destinations of great artistic, historical, architectural and gastronomic interest, are both worth a careful visit. 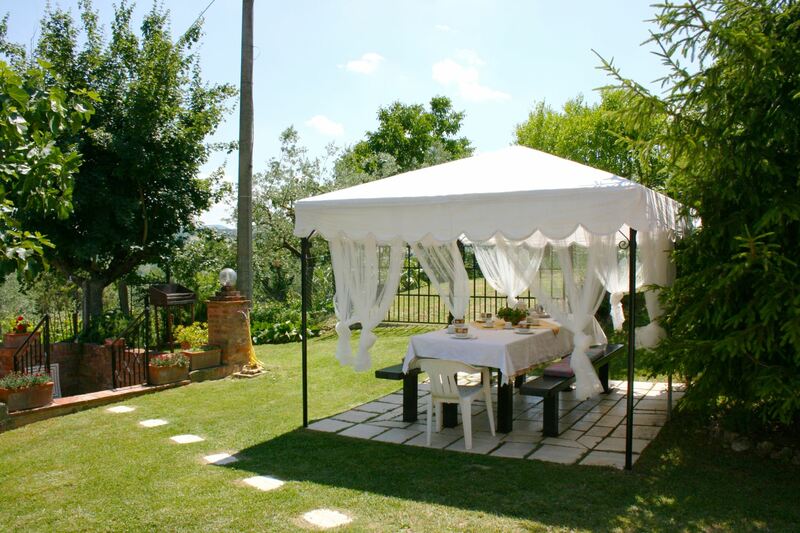 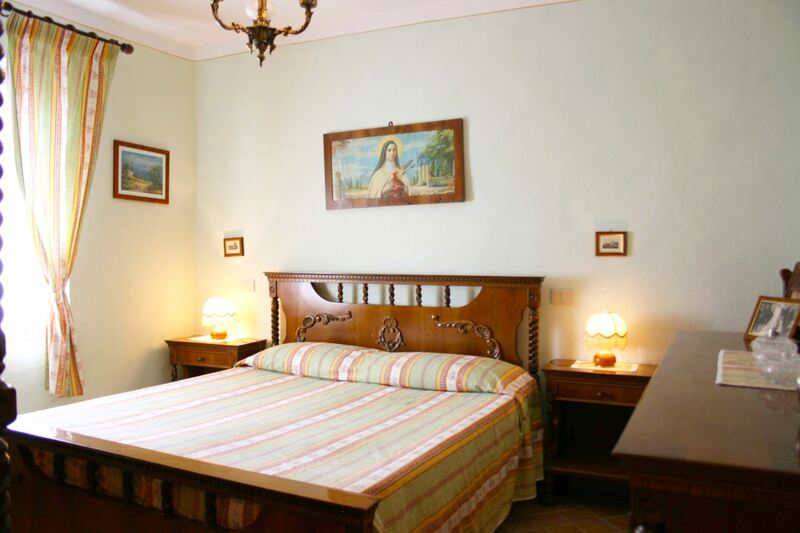 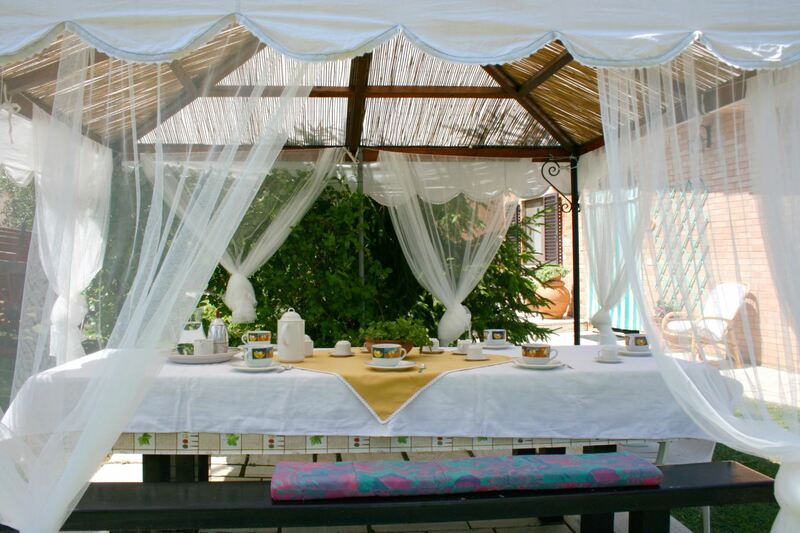 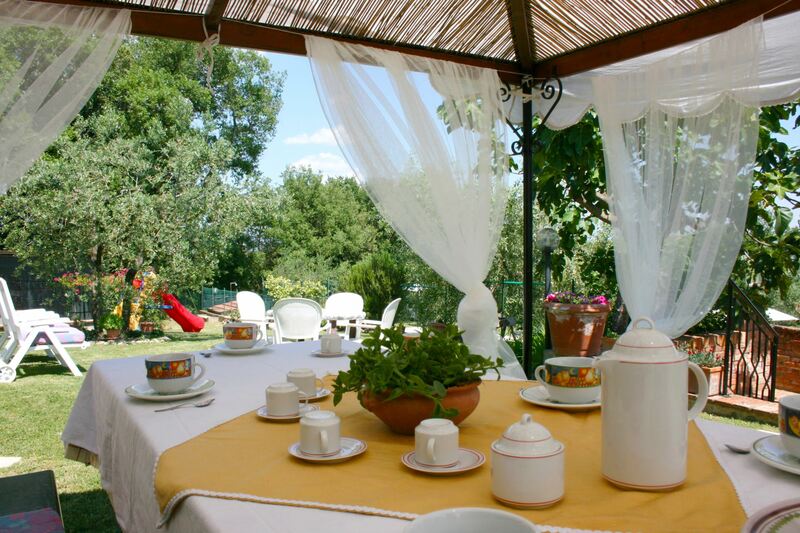 Immersed in the tranquility of nature, close to the most important centers of Tuscany. 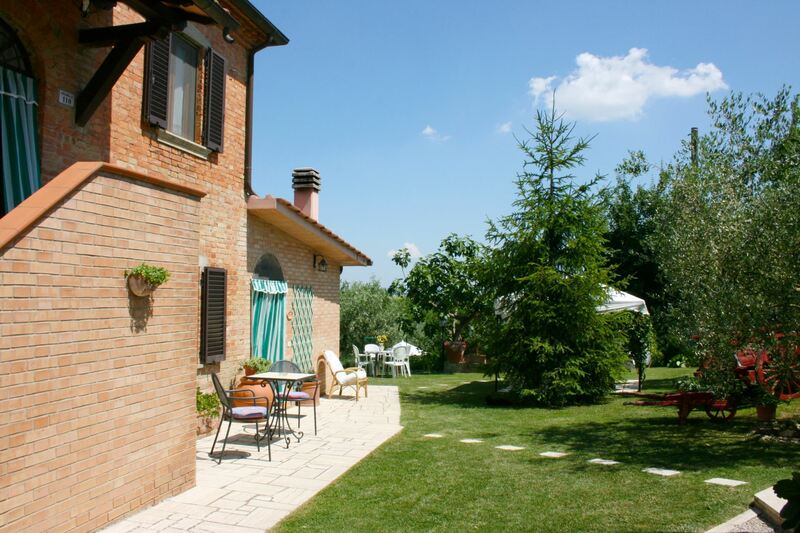 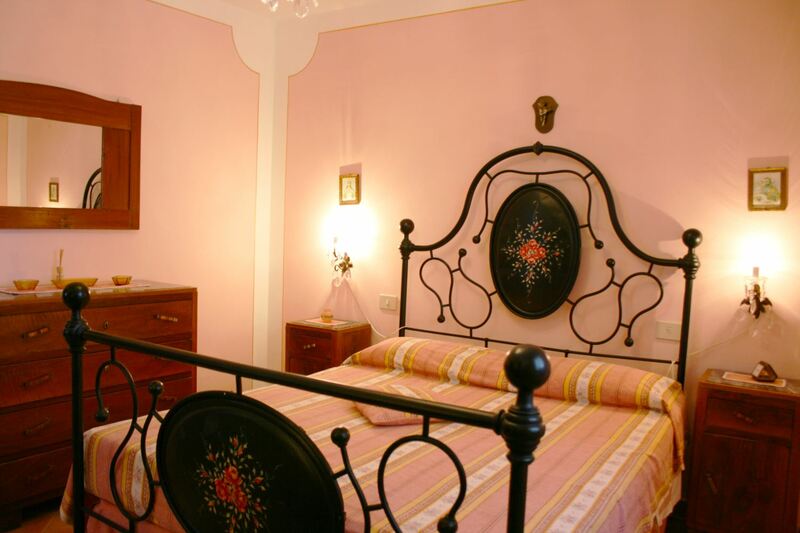 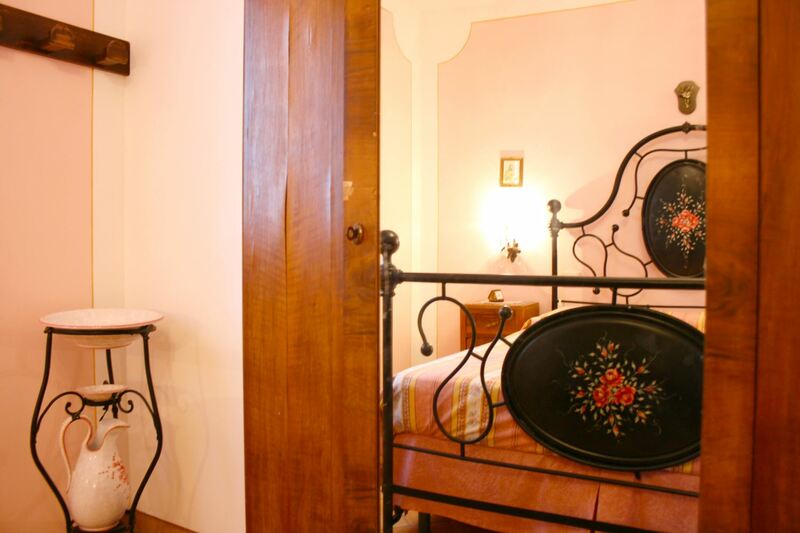 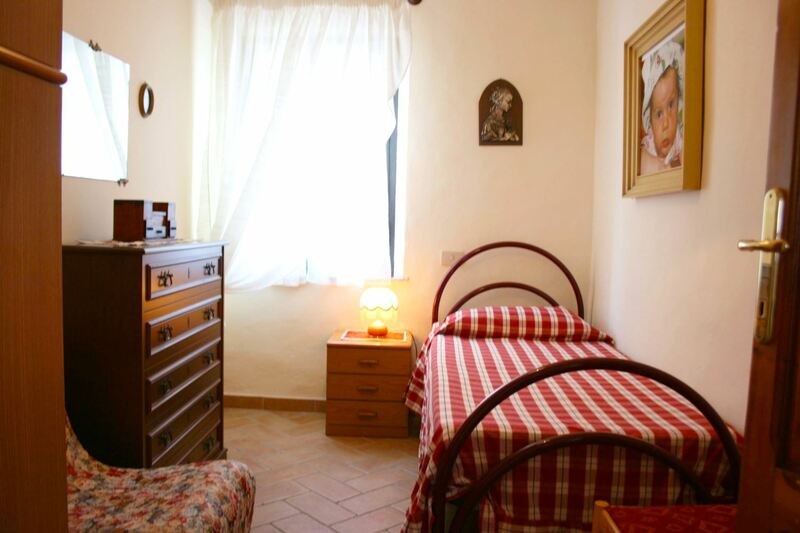 Podere San Bono makes the most of a particularly advantageous position which matches the possibility to spend peaceful holidays in the quietness of nature, with the opportunity to reach in a short time the most important artistic and cultural centres of Tuscany and Umbria. 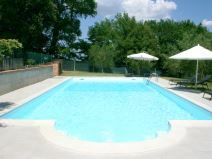 Fenced pool, facilities and outdoor areas. 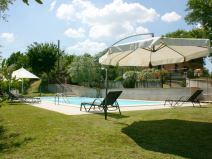 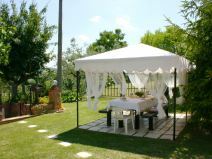 Around the house a large and fenced green space equipped with garden furniture, barbecue, wood-burning oven and a beautiful swimming pool completely fenced (size 6x12 m, depth 1,20-1,80 m). 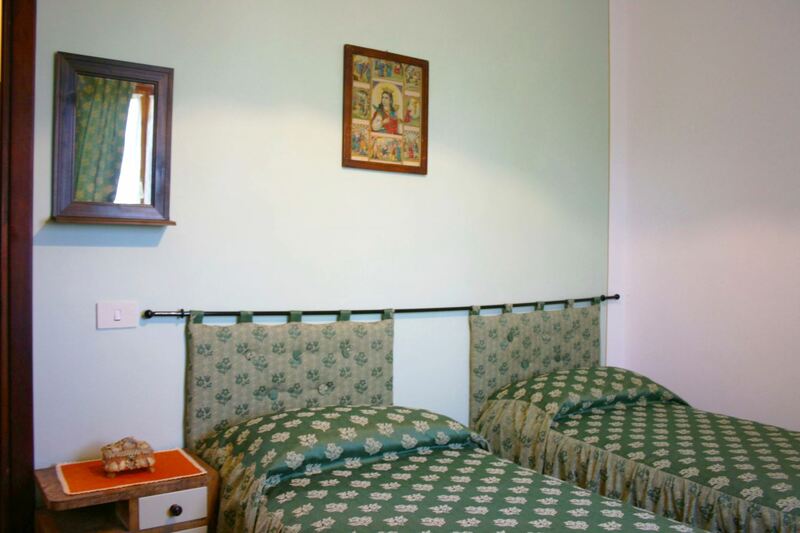 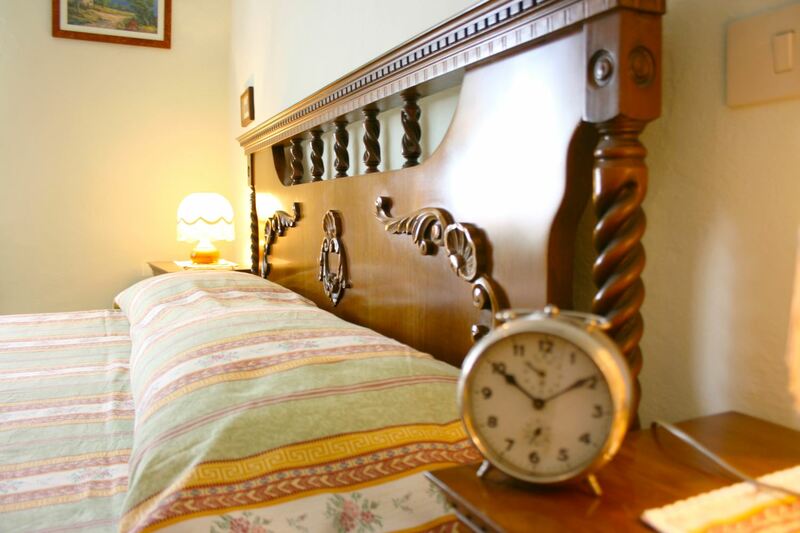 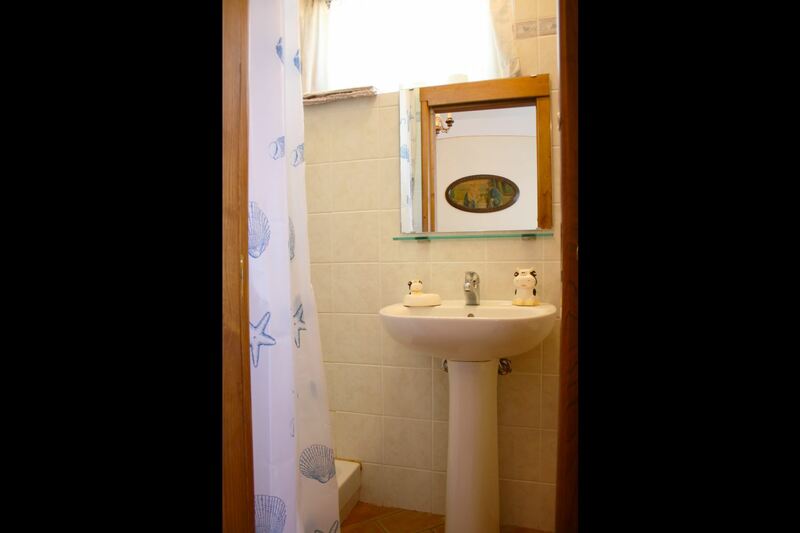 The farmhouse is furnished with taste and the equipment (washing machine, dishwasher, oven, microwave, toaster, mosquito nets etc..) offers a good level of comfort. 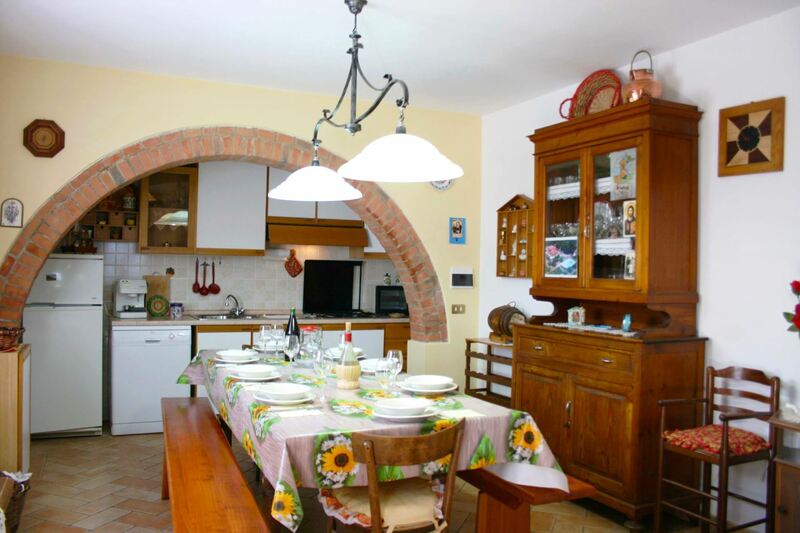 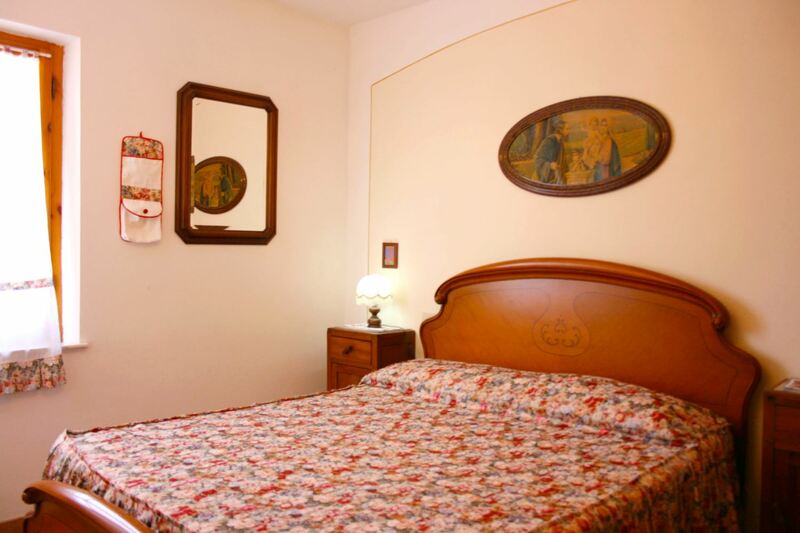 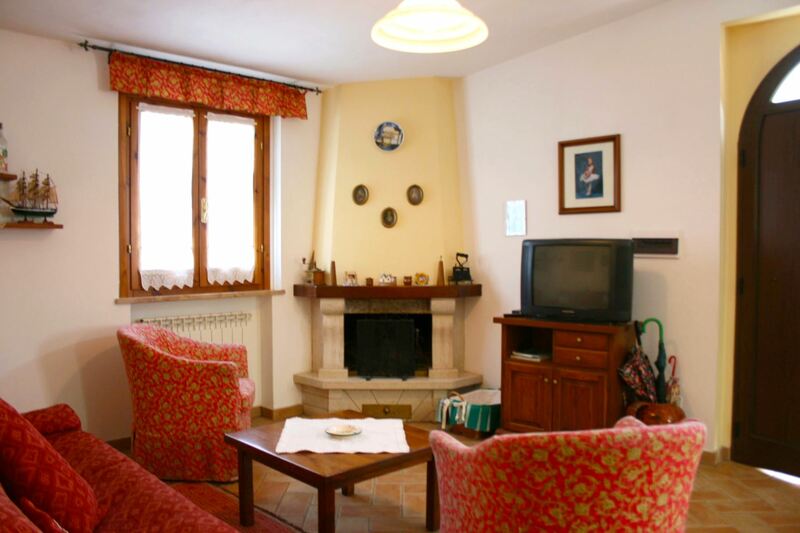 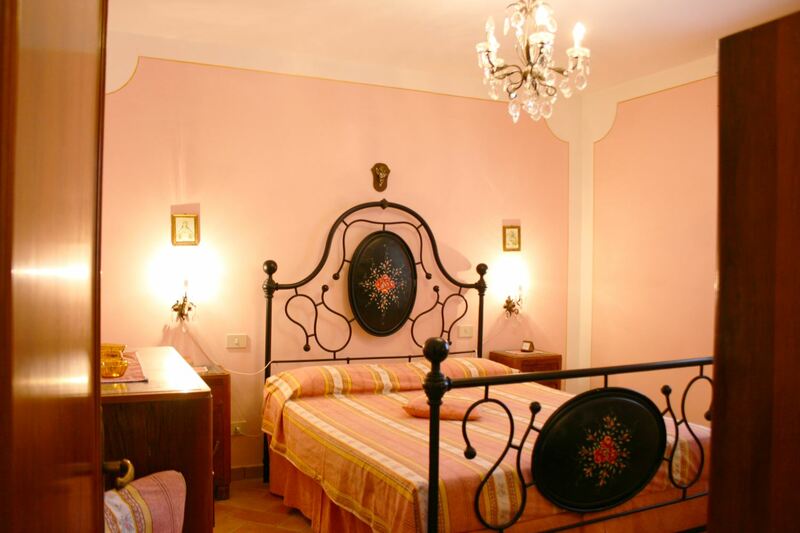 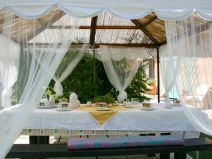 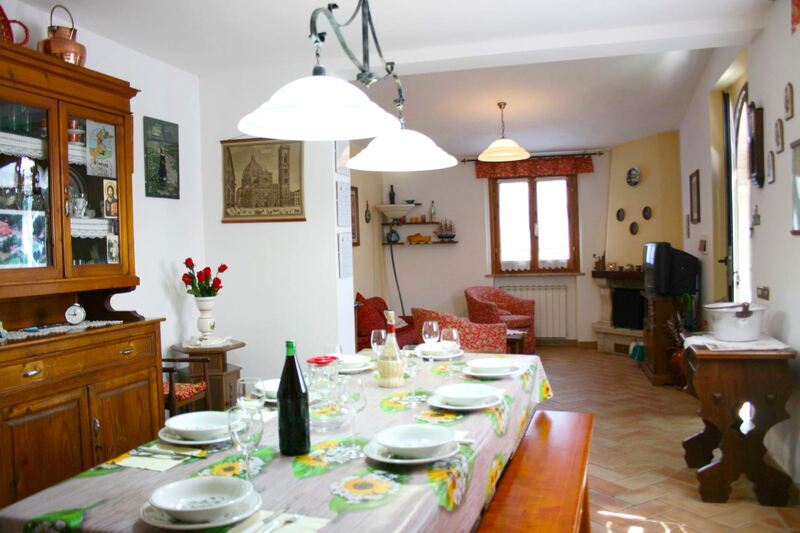 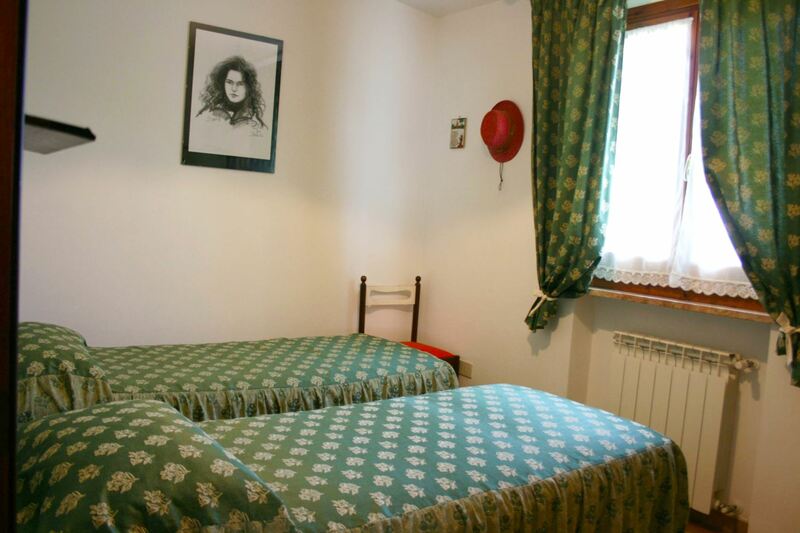 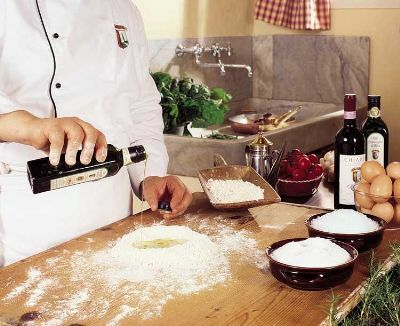 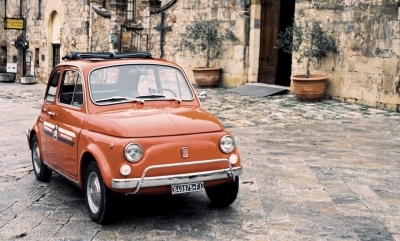 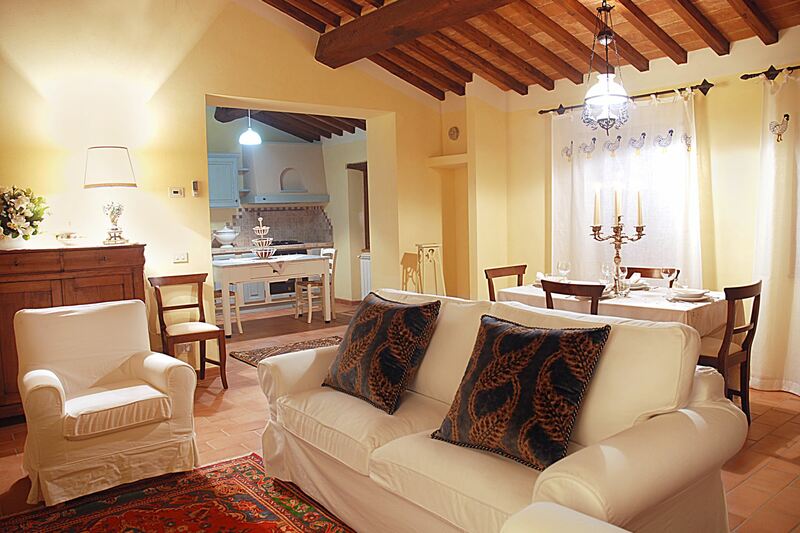 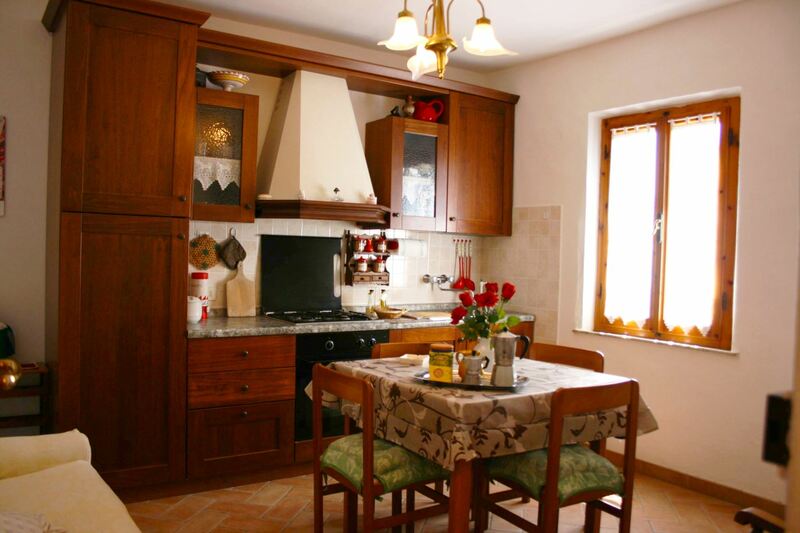 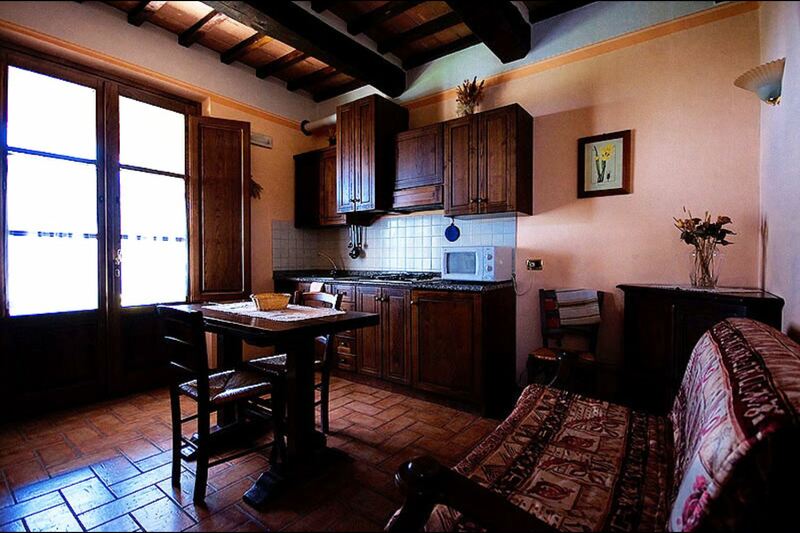 The owner will cook typical Tuscan dinners on request. 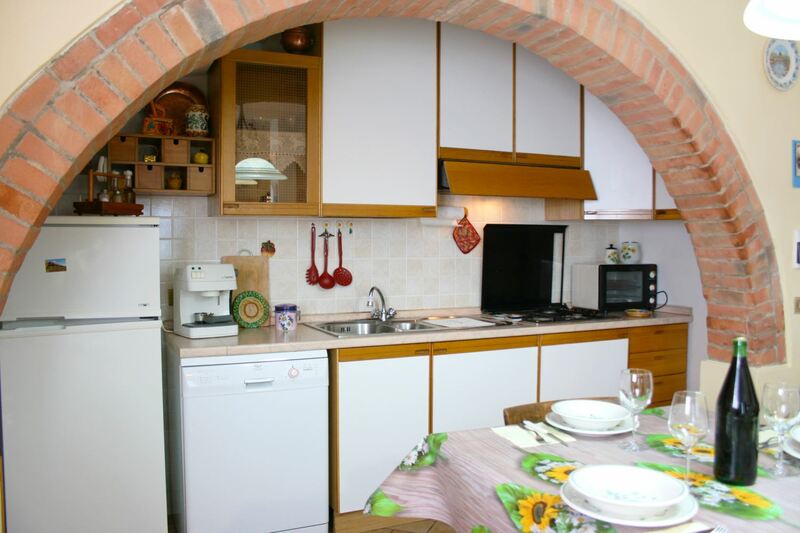 EQUIPMENT: TV, oven, freezer, microwave, washing machine, dishwasher, fly screens, toaster.